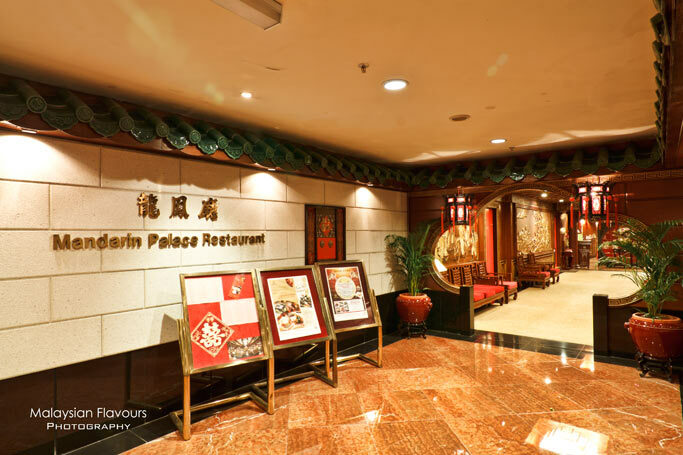 Go on a gastronomic journey with Mandarin Palace, Federal Hotel Kuala Lumpur as they launch the Yam Lay Sek ( All You Can Eat) promotion at only RM40++. 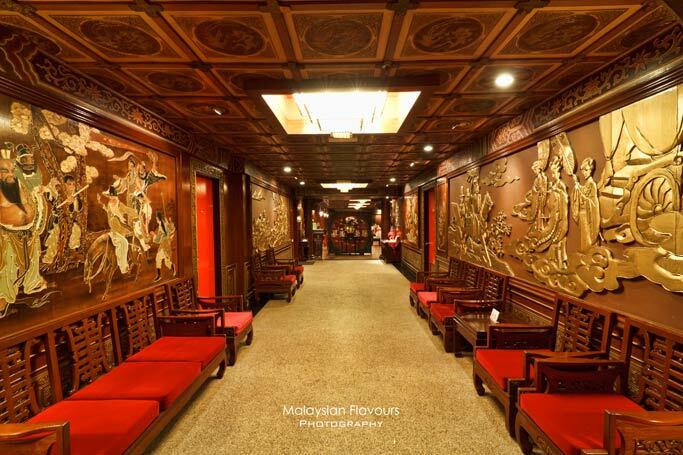 More than 48 dishes to choose from, so be sure to get your belly pampered with delicious Chinese fares prepared by experienced chefs! Each dish is cooked upon order, ala carte style. Dining area is spacious, boasting on grandeur interior with exquisite design. 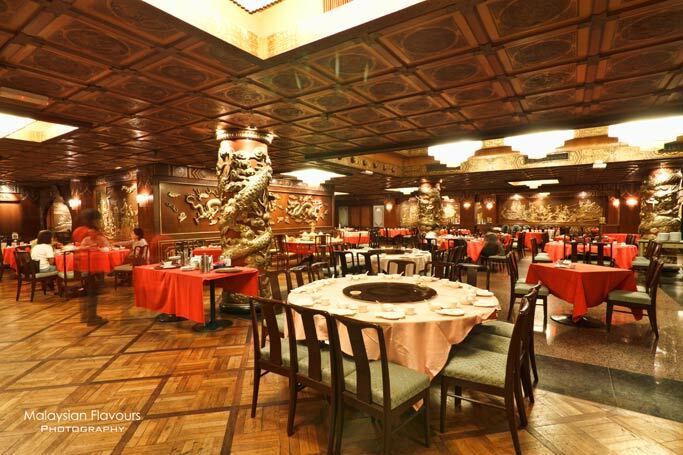 Golden dragon crafted on red colour pillar, adorning by fine Chinese art run all over the ceiling, paired with dazzling chandeliers. Appetizing is the first word that pop out from the mind as we tucked into this tangy Jelly fish, thanks to the sourish touch from the lime juice toss that along with the crunchy, chewy jelly fish, lending a refreshing sensation to whet up the appetite. 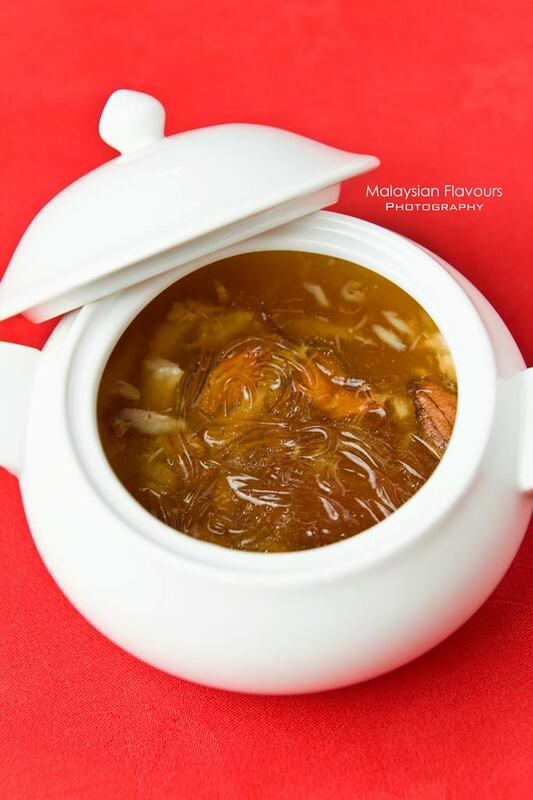 The thick and rich concoction of soup generously loaded with crabmeat and shredded chicken, ideal as a starter to warm up the stomach. Portion is hearty, rather salty towards the end though. 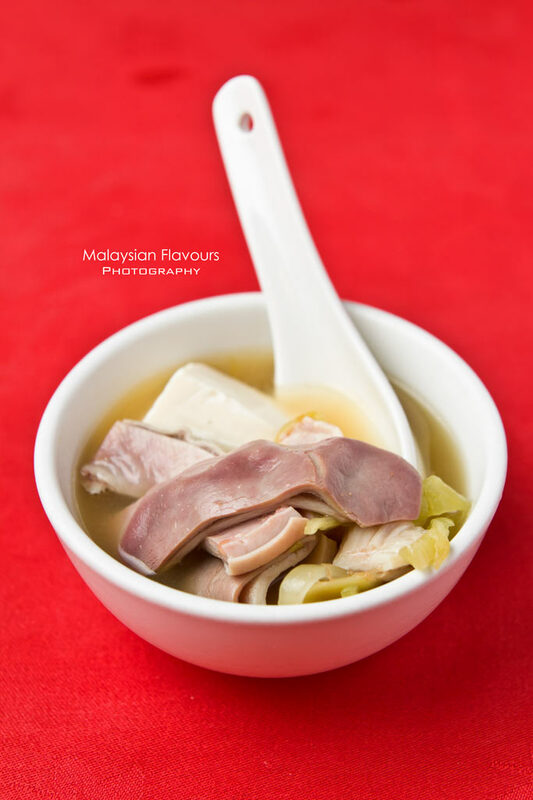 Enjoy myriad of flavours and textures in this Pork Stomach and Vegetables soup-peppery touch from pepper, saltiness from salted vegetables, sourness from tomato, softness from tofu and chewiness from pork stomach. All combines to a nourishing, full flavour soup. Pork ribs marinated overnight, flash fried and doused in a sticky sauce, having it thickly slathered over every inch of the pork ribs. 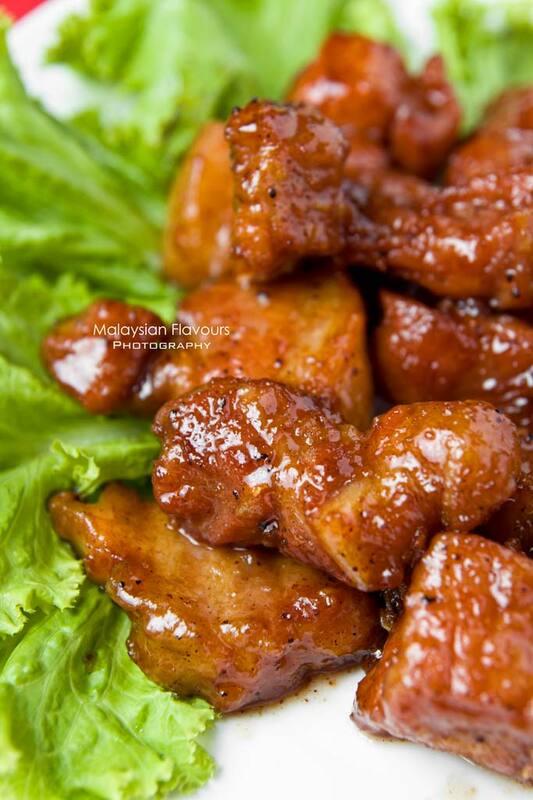 A good marriage of sweet and sour with tender bites of meat. A mix of roasted duck and char siew for this Barbeque Combination. 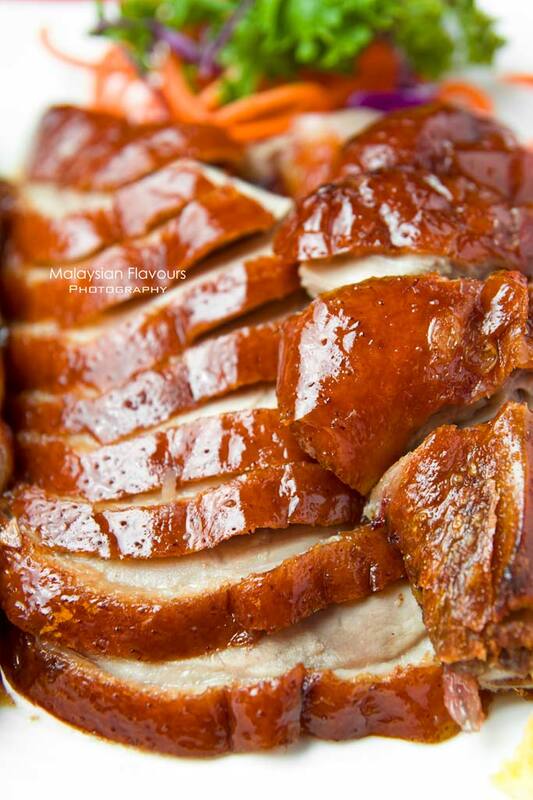 Roasted duck is good, succulent meat set off by a layer of fat, glossy skin. Char siew fall short for its over lean meat, better if elaborated with thicker layer of sweet, slightly charred, caramelized fat. Lick the shell clean before reaching for the fresh, bouncy prawns. 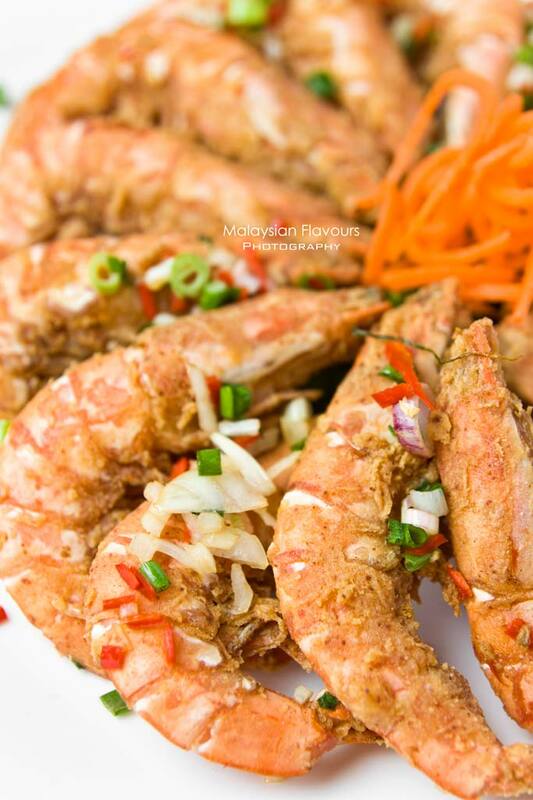 The peppery, savory aftertaste lingered in the mouth helps adding flavour to your prawns. 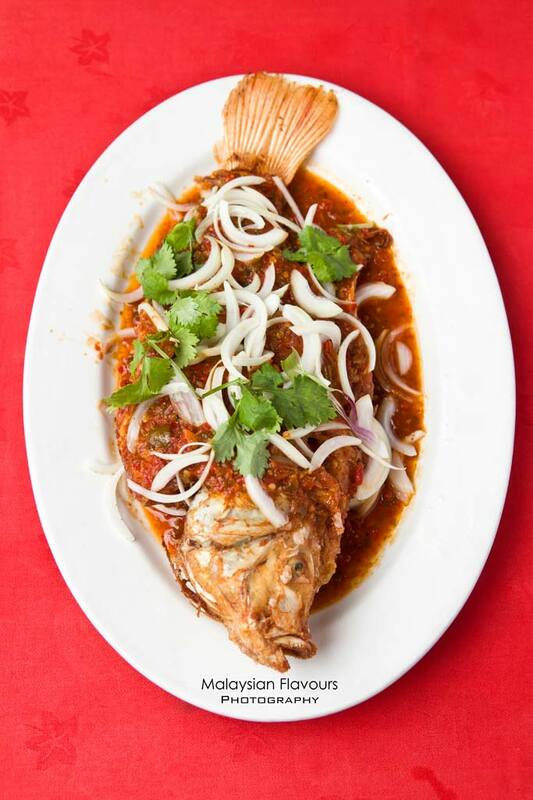 Fish will never go too pale when you shower them with sauce like Szechuan, Assam curry, giong yong (ginger paste), just to name a few. Mandarin Palace styles up their own gravy which taste almost like Thai sauce, highligting a pleasant sweet, zesty and spicy combination. 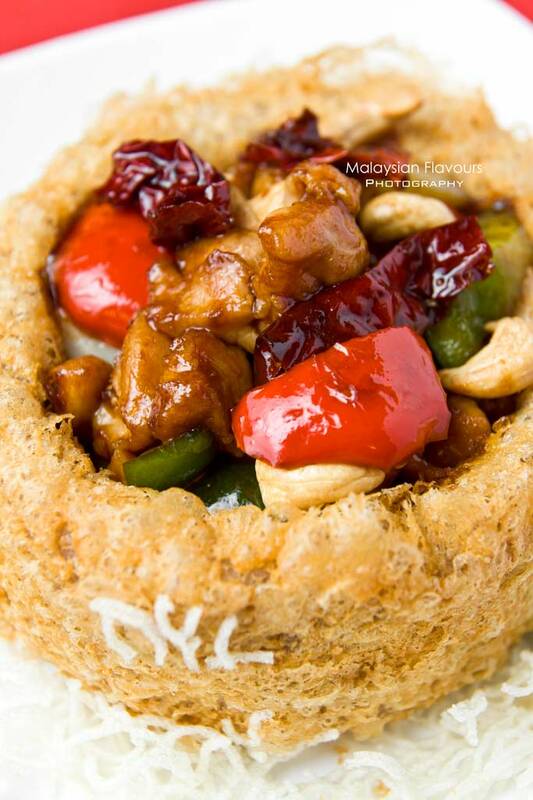 Mashed yam formed into ring and deep fried to golden brown, centered with assorted meat stir fried to pack with punch of flavours. The yam pot isn’t the best we tried before, but still decent, scores well for the crispy outer layer, creamy soft inside. 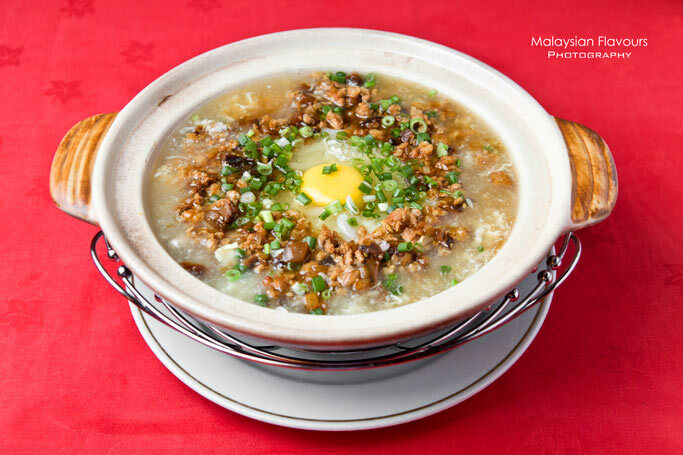 Lo shu fen immersed in a pot of creamy, eggy gravy, gracefully elevating its smooth body to have it gently slithered down the throat without much munch needed. Add a swirl of vinegar for a tangy twist. 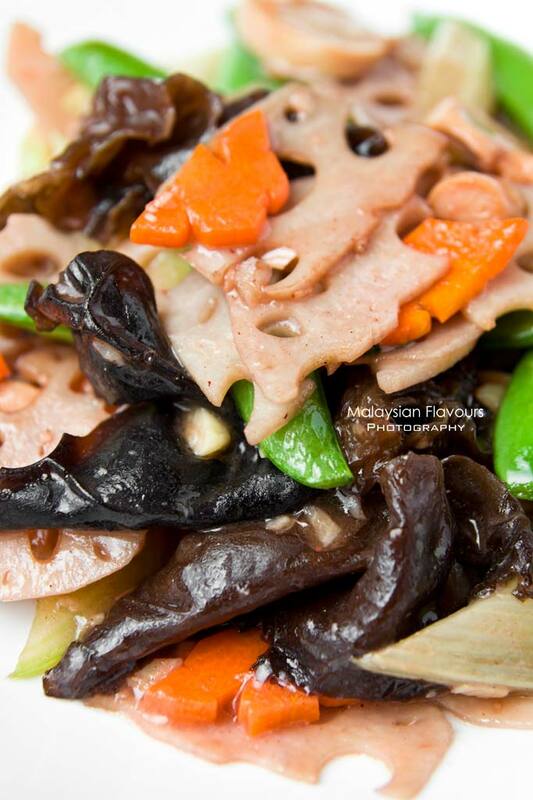 Assorted vegetables stir fried with Nam Yee sauce, the powerful fermented beancurd in Chinese cooking, or called it the Oriental cheese. The flavour of Nam Yee is not distinct in this dish, but dotted in hidden to make this dish a more delicious fare. Complete your meal with sweet soup from the dessert counter, as it helps to clear the greasiness. In short, RM40++ for unlimited serving of ala-carte is definitely worth the price, recommend to come in group so that you can savour on more delicacies. 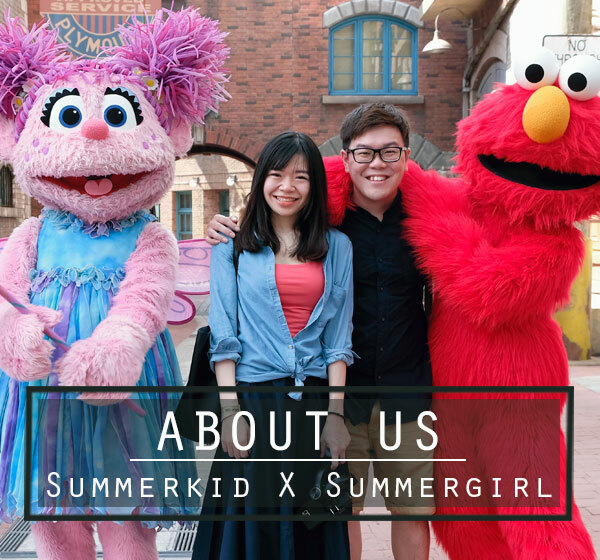 Mondays to Fridays: 12.00pm to 2.30pm and 6.30pm to 10.30pm. 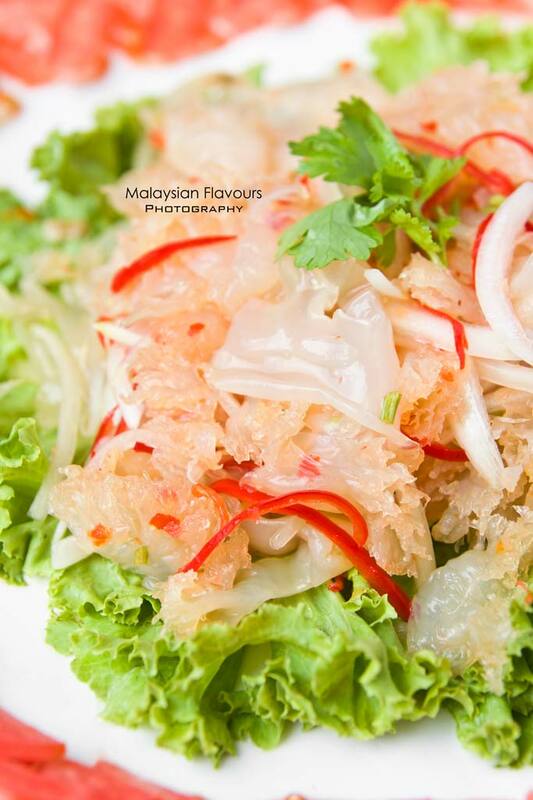 Is this offer yam Lay Sek ( All You Can Eat) promotion at only RM40++. still on?